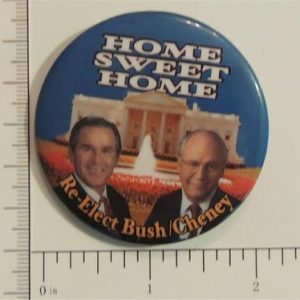 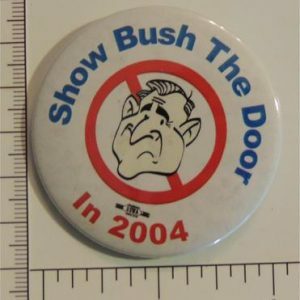 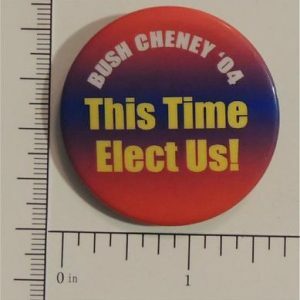 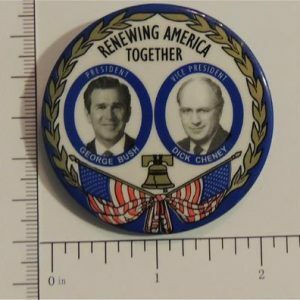 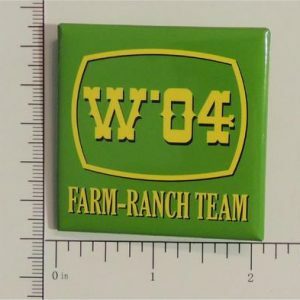 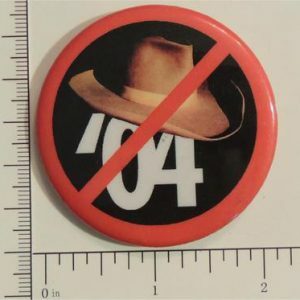 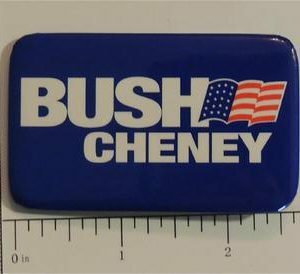 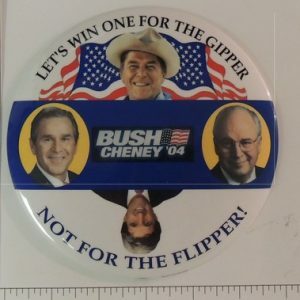 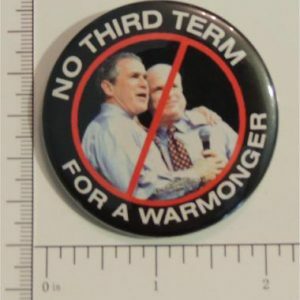 George W. Bush campaign buttons are very collectible because Bush faced the greatest challenge of any president since Abraham Lincoln. 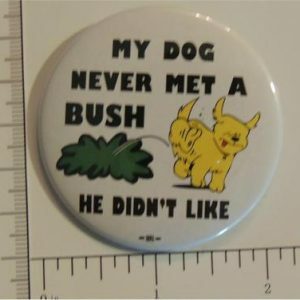 selections on the Internet. 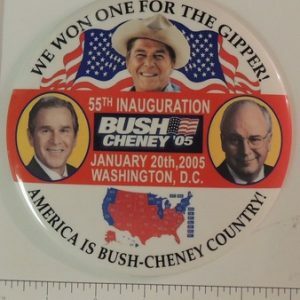 The airborne terrorist attacks on the World Trade Center, the Pentagon, and the thwarted flight against the White House of Capitol on September 11, 2001, in which nearly 3,000 Americans were killed, transformed George W. Bush into a wartime president. 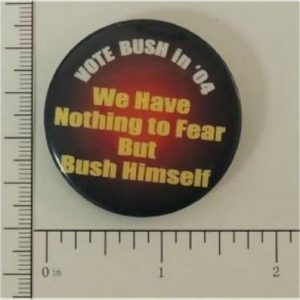 The attacks put on hold many of Bush hopes and plans, and Bush father, George Bush, the 41st president, declared that his son faced the greatest challenge of any president since Abraham Lincoln.